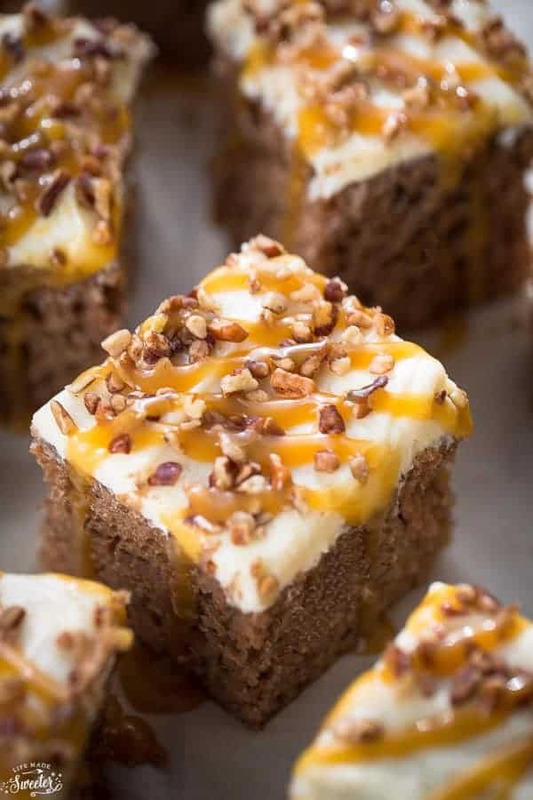 Brown Sugar Butterscotch Sheet Cake is soft, moist and perfect for your holiday dessert table.. 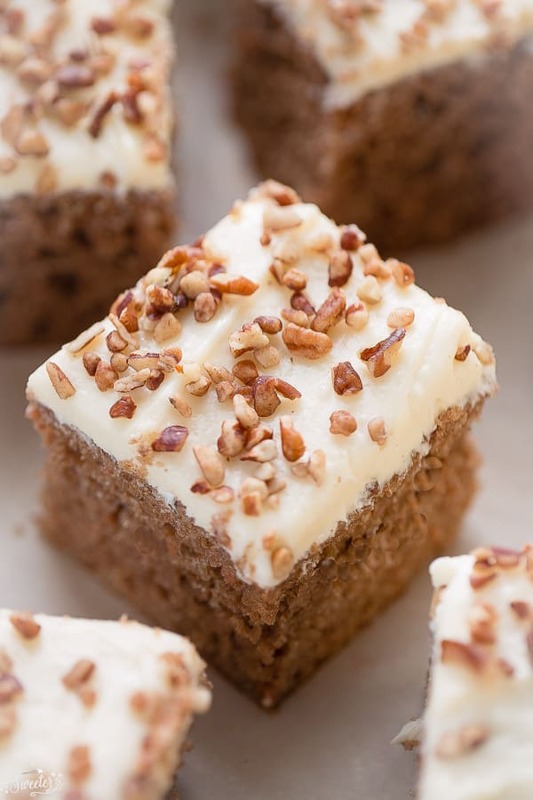 Topped with brown sugar frosting, a drizzle of butterscotch glaze with chopped pecans. As much as I love experimenting when it comes to baking and cooking, there are times you just can’t beat the classics. 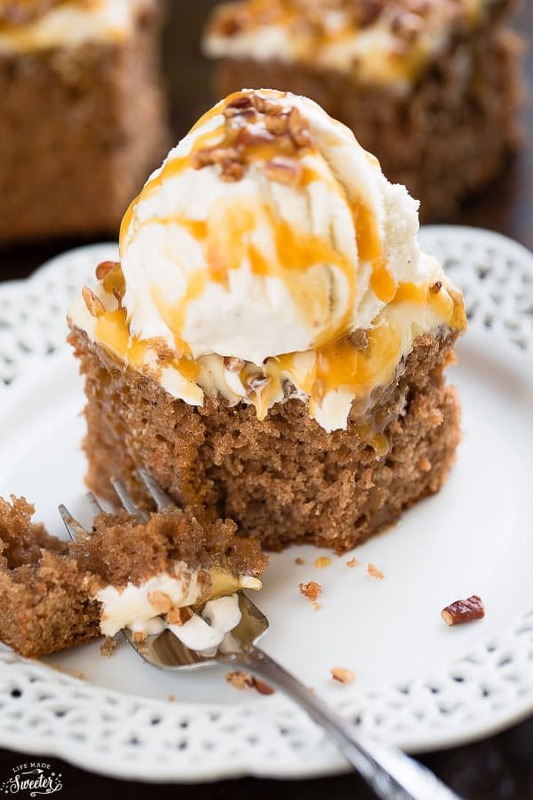 There’s something about old fashioned desserts with butterscotch and brown sugar that feel like a warm hug from grandma’s kitchen. 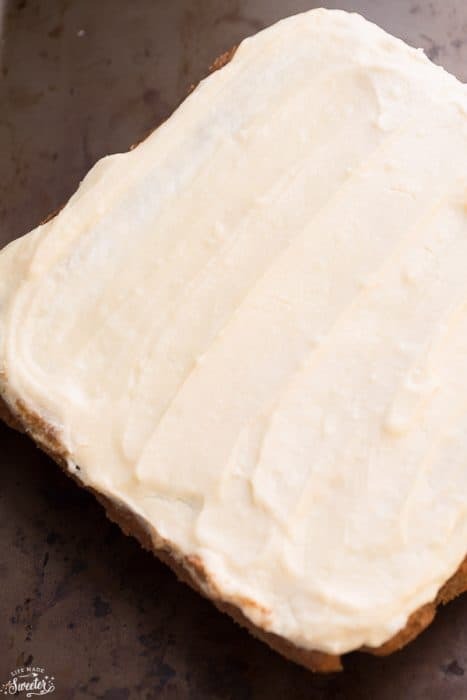 This Brown Sugar Butterscotch Sheet Cake definitely gave me the warm fuzzy feeling with the soft, tender cake and rich creamy layer of frosting – both full of brown sugary goodness. 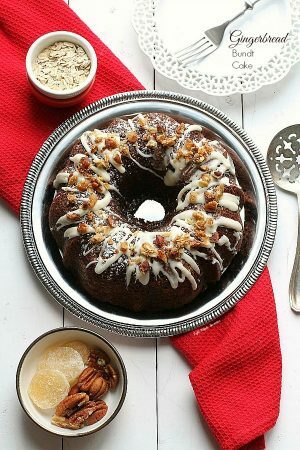 The simple flavors are made extra special with a drizzle of sweet butterscotch glaze and chopped pecans. Serve it with a scoop of ice cream and you’ll totally earn those extra brownie points. 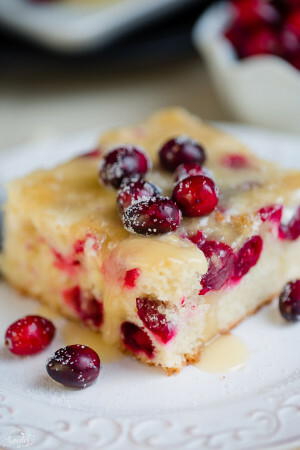 If you’re looking for a classic cake to serve to your guests for Christmas, this would make a great addition to the dessert table. It’s a nice change from the regular peppermint, eggnog and gingerbread and it’s easy enough to bring along to your next holiday party. 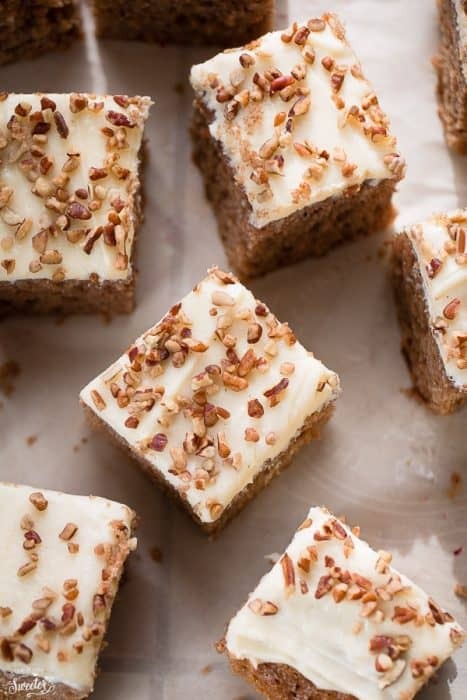 Soft and moist brown sugar sheet cake topped with brown sugar frosting and a drizzle of butterscotch glaze with chopped pecans. Preheat oven to 350 F degrees. Line and grease a 9x13 cake pan with parchment paper. In a stand mixer or using a hand mixer, cream together sugar and butter for 3 minutes. Add the eggs, one by one, and mix until combined. Add vanilla extract. In another large bowl, whisk together the flour, baking powder, salt and butterscotch pudding mix. Slowly add the flour mixture to the we ingredients. Then add buttermilk and mix until just combined. Fold in the butterscotch chips and nuts with a spatula. Spread batter into prepared pan and bake for 30-35 minutes or until tooth pick poked in the center comes out clean. Remove pan from oven and allow to cool for 15 minutes before transferring to wire rack to cool completely. In a heavy-bottomed saucepan over medium heat, add butter until melted. Stir in brown sugar, and heavy cream with a wooden spoon or heat-proof spatula. Bring the mixture to a boil, scraping down the sides occasionally, and boil for 4 to 5 minutes. Remove pan from heat and stir in vanilla; allow to cool. Mixture will thicken more as it cools. In a small pot over medium heat, combine brown sugar and milk and bring to a boil. Allow to bubble for 3-4 minutes, stirring constantly. Remove from heat and stir in butter. Stir in 1½ cups powdered sugar and whisk or beat with a mixer until smooth. If frosting is too thin, add more sugar, a little bit at a time because frosting will harden as it sets. Spread frosting evenly on cake. Top with a drizzle of butterscotch glaze and toasted chopped pecans.